A Chesapeake Bay fishing charter is one of the best fishing trips the East Coast has to offer. Finao Sportfishing is located at Vinings Landing Marina. This marina is on the shore line of the Chesapeake Bay. Virginia’s Chesapeake Bay is a great fishery year round. We have both Northern Fish and Southern Fish species that migrate annually into the Chesapeake Bay. The Chesapeake Bay has many fish that people come from around the world to target. On our Chesapeake Bay fishing charter we have a chance at some of the largest fish the East Coast has to offer. Northern and Southern fish migrate into the Chesapeake Bay to spawn. This makes the fish we have here fatter and more aggressive. Depending on the time of year you can have a chance at a World Class fish. In the colder months we have possibly the most famous fish on the East Coast, the Striped Bass. People from all over the World come to the Chesapeake Bay for this fish. They are delicious to eat and hard fighters. Another hard fighting species in the cool months out of the year that we target on our Chesapeake Bay fishing charter is a Tautog. These fish fight hard and are fun to catch. Being located next to the Chesapeake Bay Bridge Tunnel both of these fish can be caught off of the bridge. When the water begins to warm up we get most of our fish species to move into the Chesapeake Bay. The most popular of the few are Cobia, Red Drum, Spade Fish, and Flounder. Cobia may be the most popular fish we target on our Chesapeake Bay fishing charter. Cobia fight hard, grow to massive sizes, and are delicious to eat. 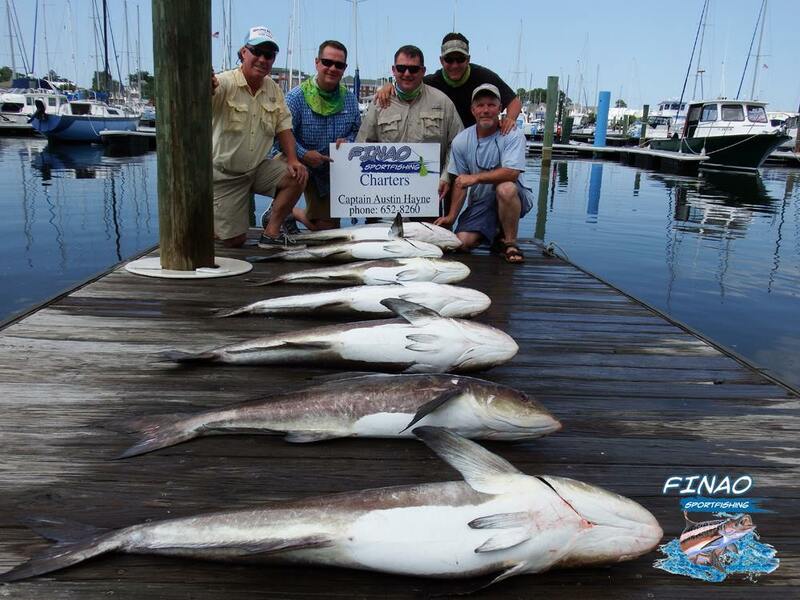 The Tv show Fin Chasers was filmed on Finao Sportfishing in the Summer of 2014 targeting World Class Cobia! Red Drum are another large fish we target on our Chesapeake Bay fishing charter. These fish are known for there hard fight and traveling in massive schools. When we target Red drum it is not uncommon to hook many at the same time. Flounder and Spade Fish are abundant along the Chesapeake Bay Bridge Tunnel. What makes these two fish fun are that we use light tackle on our Chesapeake Bay fishing charter for them. This makes it a very hands on and exciting fight. These are just a few of the many fish that we target on Finao Sportfishing fishing charters. The next time you are looking for a chance at world class fishing book a Chesapeake Bay fishing charter with Finao Sportfishing. Almost every month of the year there is a Sport Fish that we will be targeting.